Gov. 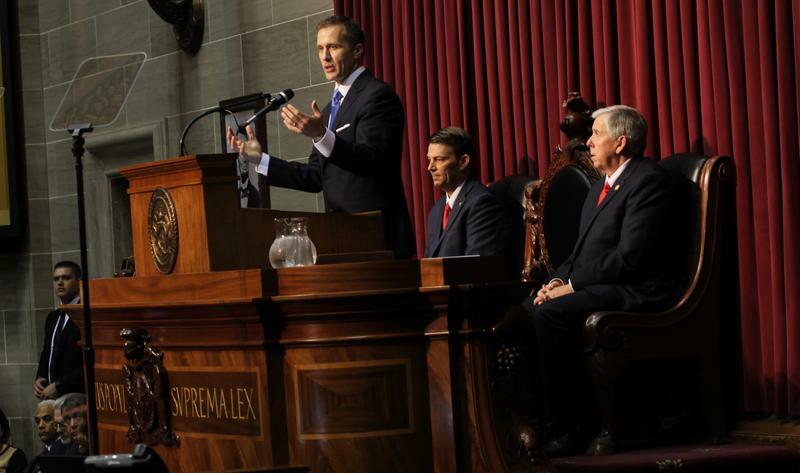 Eric Greitens' nonprofit is taking aim at a GOP state senator from St. Joseph. The ad also gives Schaaf’s cellphone number and encourages people to call him. Schaaf long had been one of the main barriers keeping Missouri from passing a prescription drug monitoring program measure, which would help the state’s opioid crisis, though he has changed course in recent weeks. But he and other Republicans and Democrats also have decried Greitens’ use of “dark money.” Schaaf even filed Senate Bill 73, which would establish the “Dark Money Disclosure Act” and compel disclosure of expenditures or “covered transfers” that exceed $2,000 in an election cycle. The Kansas City Star was the first to report on the ad against Schaaf. The Republican told St. Louis Public Radio that the ad itself was paid for with dark money. “I’m just going to continue to try to get the people of Missouri to understand what’s going on and to try to stop this corruption … I’d kind of like to know who the contributors were who paid for the attack ads,” he said. Greitens, who was in the St. Louis area Friday, said he couldn't comment on the ad because he hasn't seen it. As for his phone, Schaaf said he hasn't decided whether he'll change his number. "As soon as I clear any of it out, there's immediately a whole bunch more calls clogging up my voicemail, so ... I've talked to a few of those people and when they find out about it, they're kind of enlightened," he said. Marshall Griffin and Wayne Pratt contributed to this report.